Our GS Series Electric Hoists’ compact design makes them a good fit for all types of spaces, including those with low headroom, plus they’re easy to install, maneuver and relocate. 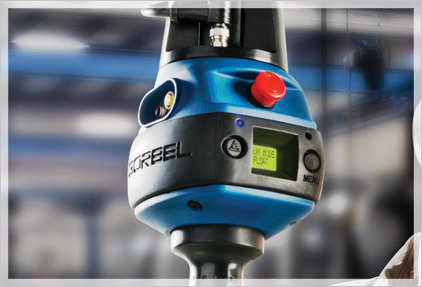 Need a solution that offers more programmability and customization than a traditional hoist? Check out G-Force and Easy Arm Intelligent Lifting Devices, which enable operators to lift and maneuver naturally, as if the devices were an extension of their arms. Plus, they offer a combination of pinpoint precision and blazing speeds that traditional lifting devices can’t provide. Choose the G-Force Q, our feature packed base model, or the iQ, with added Input/Output features. Want to improve productivity, increase quality, and make lifting safer? 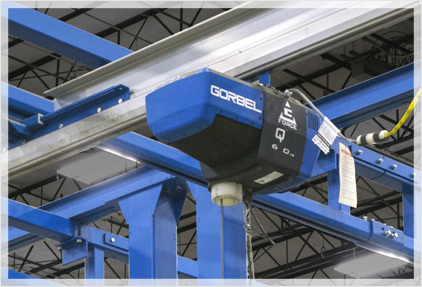 Gorbel® Work Station Cranes are a proven method!